If you found this blog, I’m thinking that you may be thinking about taking a little vacation. Dreaming of a perfect get-away where you can escape reality into paradise…sandy beaches, clear water that is a mesmerizing shade of blue. An island that is fairly safe with a lot to do — but not too much to do. Yeah, me too. I’m dreaming of that right now. I want to inspire you to step outside the “let’s go to Mexico and stay in an all-inclusive hotel” mindset. There’s a big world out there! Go experience it! This year, we decided to check out the incredible people, the rich culture and the gorgeous landscape of Barbados. Barbados is delicious. After we booked our flights and our VRBO place to stay we started doing a lot of research and planning…but sadly we found it a little difficult to get good basic information before we left the states. So let me help you a bit! Note – I’m not an expert or a local. I spent 8 days in Barbados and wanted to share a bit of information that we wish we knew before we left the states. 1 – The water in Barbados is safe for you to drink! Crazy! Apparently it is filtered naturally by the limestone base makes up the island. Also, note that bottled water isn’t cheap – so bring a refillable water bottle and save some money. I”m always a bit skeptical of water, so bring one of those Brita personal plastic bottles with the little water filter inside and you’ll be good to go, and you’ll save a bunch of cash on buying water. 2 – I’m a coffee addict. Everyone here knows it. But apparently that note never made it to the island. Oh the humanity! There isn’t a lot of coffee in Barbados, which was so confusing to me. In Jamaica there was coffee everywhere – delicious and inexpensive – but in Barbados? Not so much. Even at the grocery store, a 12 oz bag of coffee was about $25B. Stock up on those Starbucks VIA packs and bring them along. Or, if you’re staying at a vacation rental, just plan to pack your own coffee. 3 – Groceries aren’t cheap. Keep in mind that this is an island so most of their stuff is imported. Be prepared for some sticker-shock! You will pay $6 USD for a bag of chips and $12 USD for a pound of bacon. They do have some incredible food on the island. We found some locally produced frozen bacon-burgers ($4 for a pack of 8 small burgers) that were amazing and very inexpensive. It’s pretty easy to figure out how to cook up breadfruit and roti, use the local produce and eat well on a budget. 4 – Let’s talk money. The USD and the Bajan dollar are 2:1 – and pretty much everyone accepts USD. But be warned – you’ll give them US Dollars – but your change will always be in Barbadian, which completely made my brain hurt! It’s great to have both options, but WOW, it can be really confusing. Our day with Carson was easily my favorite part of our vacation. He was so generous with his time, so friendly with explaining the history and customs of the island. He even supplied fish cutters with rum punch for lunch (and it was my favorite rum punch all week!) Don’t drink too much though, as Barbados isn’t known for their road repairs. A few weeks before our vacation, we communicated via email and Carson built a custom day for our group. He planned for us to see lighthouses, explore the incredible Animal Flower Caves, we fed green monkeys, saw government buildings, shopped with roadside vendors, explored Bathsheeba, and so much more. His rates were incredible – but don’t think that the quality is lacking. We learned so much – and Carson made our trip to Barbados truly enjoyable. 6 – Don’t overpack. The entire week was casual and our vacation rental had a washer and dryer so I wish we could have under-packed! Basically we wore the same 3 outfits and never touched the rest of our other clothes. Overpack on sunscreen, coffee, snacks…and then you can use that space to bring home Mt. Gay Rum for your return! 7 – For some reason, Barbados appears to be hangover free. We drank a lot of rum. A lot of rum. But we never got hangovers. For this, I’m pretty sure you can look back up to point #1 and see that the drinking water here is already filtered naturally. Speaking of rum – it’s a must that you go and do the Mt Gay Distillery tour. More on that later. 8 – Tip. Don’t be a bad tourist. Geez. 9 – Find a few good cab drivers. They can make your life so much easier. 10 – The local bus system is actually pretty easy. Everything either goes to Bridgetown or away from Bridgetown. For $1 USD you can pretty much go anywhere you want…and meet some interesting folks along the way. 11 – Don’t just sit on the beach. Did I mention that already? Barbados is an incredible vacation spot that is for some reason a little off the grid for many. I’d love to change that and inspire you to step outside the “let’s go to Mexico and stay in an all-inclusive hotel” mindset. Check out the incredible people, the rich culture and the gorgeous landscape of Barbados. You’ll be so glad you did. 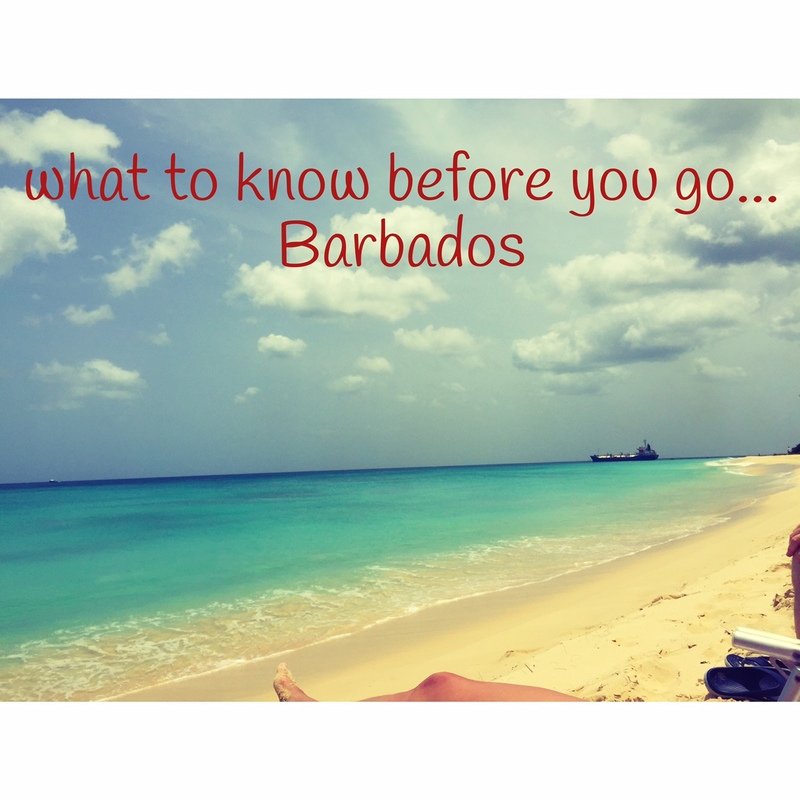 More thoughts on touring Barbados to follow…but now you know a few helpful hints to make your Bajan holiday run smoothly!